Being the home of some of the most important emerging markets in the world, South America economy is one of the most diverse, as is the culture of this Latin American subregion. It is a truly melting pot with a mix of influences ranging from native folklores, European habits, Roman Catholicism and African religions, all these dating back from when the countries started to take shape in the colonial era. Nowadays they are hyper connected societies. Like most places in the world, the region has also been largely influenced by mass media, such as TV and cinema, which gave them a heavy influence from the United States as well. Some shopping holidays, such as Mothers’ Day, Fathers’ Day and Valentine’s Day are hugely successful for online merchants, but the difference in dates should be observed, as well as the difference in seasons and other particularities. The majority of the population, over 50 per cent, speaks Portuguese. Given the size of Brazil and the number of its population, this comes as no big surprise. Most countries, however, speak Spanish as the official language. The inland exceptions are Guyana (English), French Guiana (French) and Suriname (Dutch). Merchants interested in selling to this market won’t face much of a challenge when it comes to decoding their new public. South Americans have a higher demand for products that are usually heavily taxed and overpriced at their local brick-and-mortar businesses, such as electronics, computer products and phones. They also resort to ecommerce in order to buy health products, cosmetics and perfumes at lower prices. Travel products and sports and leisure products are very popular, just like in the United States. Digital consumers in South America are one of the most active internet users in the world. Four-fifths of them claim to visit or update their social media websites daily on a computer, as opposed to 65% of the digital consumers in other parts of the world. On desktop devices, social sharing is the third most popular activity, coming right after surfing the web and emailing, according to Euromonitor International. However, the use of mobile technology is more frequent for browsing the internet nowadays in Latin countries. When it comes to mobile online habits, messaging apps and visiting social networks rank first in the list of priorities, followed by sending or receiving emails. Social media plays a big role in daily lives of Latin consumers. The channel is an important avenue for reaching clients, even more than direct email marketing depending on the device. Brands should be aware of this trend and view these platforms as more than a customer service medium, and instead build a brand presence that will engage with consumers throughout the purchase journey. While half of consumers in other parts of the world view targeted advertisements based on online searches and purchases history as an invasion of privacy, only one third of South Americans perceive them as such. This is especially true for digital customers in Brazil and Colombia. Website navigation and responsiveness are decisive factors when it comes to proceed to checkout. Optimization for small screens and easy payment methods can also make or break the deal. Third-party payment apps that take the customers away from the original website in order to check-out can discourage a shopper and lead to abandoned carts. Latin shoppers give a lot of importance to website navigation. While the period ranging from 2011 to 2016 wasn’t the most prosperous one for the region, from 2017 and on, South America economy has started to show some positive recovery signs. Over the last year, inflation has decreased by 1.5 percentage points in area, compared to 0.8 in Central America and Mexico group. The economic growth ticked up from 0.8% in 2017 to 1.2% in 2018. The volume of imports grew 9%. In Brazil, after contracting for two consecutive years, the same index grew 10%. Investment and private consumption were two components that contributed to GDP growth in the Latin American division. In countries like Brazil, Chile, Colombia and Uruguay, real wages for formal workers picked up in 2017, which lead to the increase in gross national disposable income. Inflation in goods also went down by 6.6 percentage points, thus reflecting in the private consumption increase. The country benefits of an internet penetration of over 80%, and the one of largest proportions of mobile internet users in all of South America. It also has a large middle class with a higher spending power compared to its neighbouring countries. Argentina is on track to become an ecommerce giant, on a par with Brazil as soon as 2024. This should pose as a good opportunity for online merchants. Of the 44.2 million people living in Argentina today, 16.8 million are online shoppers. By 2021, it is expected that an additional 3.1 million users will be added to that sum. Those 1.9 million e-shoppers will represent 58% of the population. The most popular segment is toys, Hobby and DIY – its projected volume for 2019 is 1.183 million U.S. dollars. The current average revenue per shopper is 136.17 USD. Bolivia has a population of 11 million people, and has seen a sustained economic growth since 2016, and an expansion of its middle class. Ecommerce in the country is taking its first baby steps. According to Captura Consulting, 63% of Bolivian internet buyers purchase electronics through the web. 58% also go online to buy info products such as apps, games, music and videos. Another 53% of them use online platforms to pay for services. As of December 2017, Facebook had over 7 million Bolivian users. Brazil is the biggest economy in the continent, possesses a large consumer market and benefits from huge influence on the overall region. After a particularly rough patch during 2015 and 2016 in which the country fell into its deepest recession for decades, Brazil is starting to see an economic upswing. This ranges from industrial production to retail sales. The eighth biggest economy in the world is home to over 200 million people, half of which are connected to the internet. 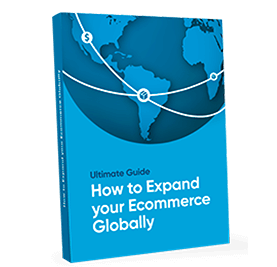 50% of internet users have bought from an international ecommerce at least once. They are heavy users of social media and messaging apps. In April of 2018, Chile has grown as its fastest pace in more than five years, which is more than impressive given the fact that in the last five years the Andean country has seen a meaningful acceleration as well. During this period, the ecommerce market has more than doubled in Chile. In 2017, the sales of electronic goods reached 800 million USD and a large portion of transactions were made online. In fact, the largest segment of online sales in Chile is personal electronics such as smartphones, tablets and computers. Beauty products are very popular as well. In the same year, there was a 3.1% increase in the overall sales of this particular market and numbers are expected to grow. Colombia has the second largest population in South America. 49 million people live there. Four megaregions comprise 72% of its population, providing online merchants with a good, hyperconnected urban base of consumers who like the convenience of shopping online. The country’s economy is accelerating toward a 3% growth rate in 2019. Ecommerce in Colombia is still in its early stages compared to its peer countries, but it is a fast-growing market. The local ecommerce market is worth approximately 2.53 billion U.S. dollars. According to a research from 2016 of the Observatorio de Compra Online from the Cámara Colombiana de Comercio Electrónico, the most popular goods among Colombian e-shoppers are fashion and apparel products, electronics, and food. Ecuador has a shy population of 16 million people. The country’s ecommerce is on track to grow at exponential rates. Unlike most South American nations, Ecuador uses the U.S. dollar as its official currency, making international online trade easier for locals. It is estimated that one third of the population are active online shoppers. Out of these 5.7 million people, 74% have bought electronic goods. Beauty and apparel are other popular categories among e-consumers. The good news for those who want to take the leap in the country is that up for 40% of all products bought online by Ecuadorians come from foreign websites. Among South American countries, Peru is the fifth in population, being the home to over 32 million people. Between the years of 2016 and 2018, ecommerce in Peru grew an impressive 198%. The number of active internet users in the country is an estimate 12.5 million, of which 8.6 million are online shoppers. The most popular category of products among Peruvian ecommerce customers were electronic goods. In 2017, approximately 31 million people in the country searched online for a phone, tablet or a laptop. Accessories and apps accounted for 38% of ecommerce purchases in Peru in the same year. Clothes and shoes were responsible for another big share of the online market, with 30% of the total sales. Mother’s Day is celebrated in Brazil on the second Sunday of May and it is one of the most lucrative ecommerce dates for Brazilians. It ranks second as the busiest ecommerce shopping date in the country. Other countries that celebrate on the same date are Chile, Colombia and Ecuador. For Argentinians, mothers are celebrated on the third Sunday of october. In Bolivia, it’s on May 27th. Colombia, Argentina and Ecuador celebrate Fathers’ Day each year on the third Sunday of June, just like in the United States. Brazilians celebrate it on the second Sunday of August. Argentinians celebrate Valentine’s Day on February 14th, just like in the United States, but they also have a separate celebration called “Sweetness Week” during July, when sweets are exchanged for kisses. Brazilians celebrate “Dia dos Namorados” on June 12th, which is very similar to Valentine’s Day. Colombia has a similar celebration called “Día del Amor y la Amistad” on the third Saturday of September. Children’s Day is a very commercial holiday for parents, grandparents and close relatives to spoil children with gifts and toys in several Latin countries. However, the date varies. In Argentina, it happens on the third Sunday of August. In Colombia, it’s in the last Saturday of April. Brazil does it on October 12th. While back-to-school season is not necessarily a holiday, it is an important event for merchants to get it right when it comes to calendars. In countries in the Southern Hemisphere like Brazil, Argentina and Chile, students usually return to school in February or March. This causes a school-supply shopping frenzy towards the beginning of each year. Running an international ecommerce demands great involvement and attention to detail. Becoming familiar with the cultural factorsof South American countries is key to understanding the region’s economy and figuring out which business strategies are the most adequate ones in order to navigate and succeed in these new waters.